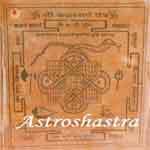 Kaalsarp Yantra - To negate the malefic effect of Kaal Sarp Yoga in a Horoscope. Worship of the consecrated Yantra reduces the ill-effects of the Yoga. The yoga, leads to unbearable strains and tensions, delaying success or making success look insignificant in relation to efforts made to achieve it. This yoga is also found to be associated with frustrations and losses although efforts are made in pursuit. This yoga perhaps selects the pure and simple, honest and truthful and loyal and hard-working souls as its victims. Such individuals suffer indignities of outrageous fortune despite their purest ray quality and character. People with this Yoga have their life full of struggle. It causes setbacks in life and creates obstacles in accomplishment of every job you inspire. 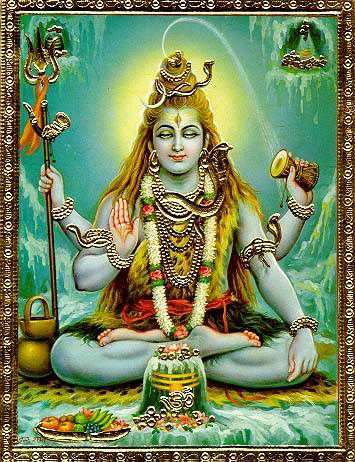 This can be placed on Monthly shivratri and perform puja in front of Lord shiva image. By the grace of Lord Shiva the malefic effects of the yoga is reduced and the sadhak is blessed with tension free life. To know more about these yoga , you may read our article Kaalsarp Dosha and its Remedies . People having Dosha shall perform puja on Shivratri, Naag-Panchmi or monthly shivratri as well as establish energized Yantra in their house to protect themselves from the evil effect of this yoga. Astroshastra provides you an enegized Yantra in your name to get rid of malefic effects of this dreaded yoga. 1 Dosh nivaran puja reduces the ill effects of Yog. 2. An energized pendent around their neck to protect themselves from the evil effects of this yoga. 3. Wearing mala made of Rudraksha Beads is also an effective remedy for removal of Dosh in the Horoscope. 5. Wearing ring in silver is quiet effective to negate the effects of kaal sarp dosh.